Bhandari steadily increased his votes from 110 to 121 in the Assembly, while Greenwood slipped from 79 to 68. 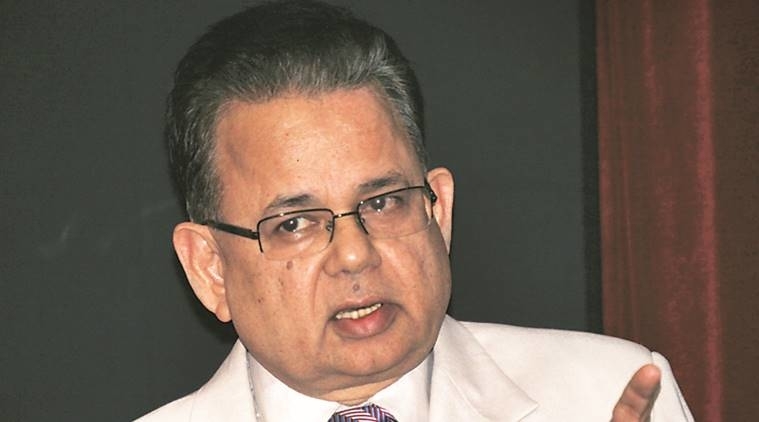 The General Assembly rallied around World Court's Judge Dalveer Bhandari on Monday in his bid for re-election, defying the Security Council where permanent members and their allies put up a fight to protect one of their own, Britain's Christopher Greenwood. Bhandari steadily increased his votes from 110 to 121 in the Assembly during the five rounds of voting, while Greenwood slipped from 79 to 68. Over at the Council, Greenwood kept his nine votes through the five rounds. Bhandari, who had polled six votes on Thursday, lost one but held on to his five votes. The unrelenting standoff forced both chambers to adjourn without electing a judge to fill the fifth position that is up for election this year to the Hague-based International Court of Justice (ICJ). Sitting Judge Bhandari had lost the Asia-Pacific seat to Lebanon's Nawaf Salam when the elections were held on Thursday to elect five judges to the ICJ. Four candidates who got the required majorities in both the Council and the Assembly were declared elected, while Bhandari and Greenwood could get majorities in only one of the chambers. After a weekend of intense lobbying, the voting on Monday became a showdown between the Assembly and the Council. The mood slowly turned defiant in the 193-member Assembly where members steadily kept moving to Bhandari's side with each round. The Assembly Vice President, Vanuatu's Permanent Representative Odo Tevi, who presided over the election, and Council President Sebastiano Cardi announced that the voting would be resumed on a day to be mutually determined. The stalemate brought to the fore the imbalance of power between the Council and Assembly. The Council Permanent Members have by tradition each had a judge on the world court. That is now being challenged by the Assembly, where a majority have been chafing under the unrepresentative character of the Council, which wields enormous powers and want it reformed. The Permanent Members and their allies are rallying behind the British candidate as they do not want to see their perk endangered by the loss of one of their own. So far, a total of nine rounds of voting have been held by the Council and ten rounds by the Assembly. Three incumbent judges of the ICJ -- President Ronny Abraham of France, Vice President Abdulqawi Ahmed Yusuf of Somalia, and Antonio Augusto Cancado Trindade of Brazil - were elected along with lawyer-turned-diplomat Salam in five rounds in the Council and six in the Assembly on Thursday. In the runoff that followed, Bhandari won in the Assembly and Greenwood in the Council. The two chambers can continue voting at another meeting with several balloting rounds. If it remains inconclusive, under the election procedures they can set up a conference of three representatives each from Council and the Assembly to resolve the standoff. Going by precedent, they can also put off the next meeting for several weeks as it happened in 1956 when there was a similar standoff between the Council and the Assembly. In the reconvened voting in 1957, Wellington Koo of Taiwan, which held China's seat at that time prevailed over Japan's M. Kuriyama.